This remarkable home is perched atop a beautiful corner lot and boats expansive spaces, impressive ceiling heights, and an unbeatable floor plan. 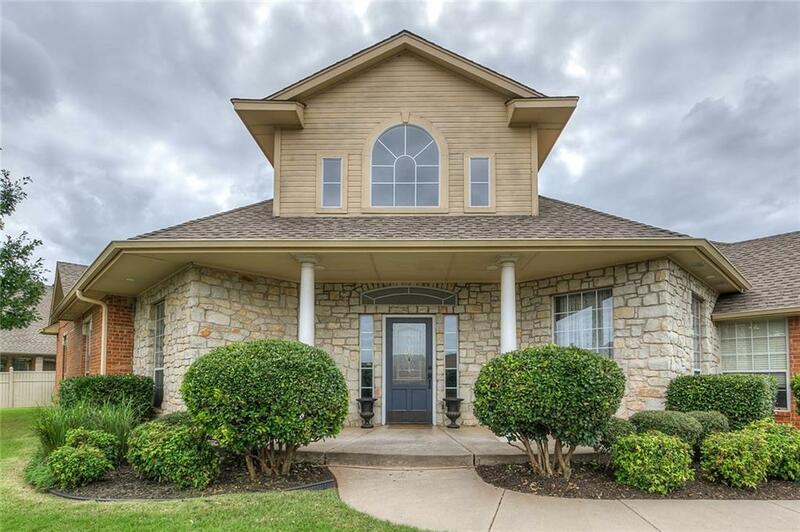 Entering through the charming front porch, you are ushered inside to the spacious entryway, functionally flowing into the formal living and dining rooms. The kitchen is oversized and offers great storage and workspace, with room for bar-seating and an eat-in breakfast room. It is open to the family room, which centers around the cozy hearth. The bedrooms are quietly tucked away at the opposite end of the home, with the master suite secluded in the back. Each bedroom is well-sized with great closet space, and the master is overflowing with gorgeous natural light and access to the back patio. Shrouded in trees, the backyard is private and serene with plenty of room for entertaining. Beautiful neighborhood with convenient access to shopping and highways, donât miss your opportunity to see this beautifully-maintained home for yourself!